Diamondbacks right-handed prospect Yoan Lopez left Double-A Mobile on Wednesday for the second time in as many seasons, this time with the intention of giving up the sport, reports Nick Piecoro of the Arizona Republic. The Diamondbacks have since convinced Lopez to avoid making a definitive decision on his future for the time being, per general manager Dave Stewart, who conceded that the 23-year-old is “not having a good time” and is dealing with “serious emotional issues.” Lopez signed with the D-backs for a sizable $8.27MM bonus in January 2015, but the Cuba native has since posted subpar numbers (4.89 ERA, 5.7 K/9 and 4.3 BB/9) across 116 minor league innings. That could at least be thanks in part to Lopez’s traumatic experience immigrating to the United States, as Stewart pointed out: “It’s the escaping, crossing the water in a raft — or however he got here — living in Haiti and then going to the Dominican, leaving family members — it’s all of it.” As of now, Stewart and the organization are working to help Lopez get back on track. Newly signed 16-year-old Braves prospects Kevin Maitan and Abrahan Gutierrez might not be as far from the majors as their youth suggests, general manager John Coppolella told David O’Brien of the Atlanta Journal-Constitution. “I think when you look at Andruw Jones hit two home runs in the World Series at age 18, both these kids are 16,” Coppolella said of Maitan and Gutierrez, who combined to sign for $7.75MM. “I’m not saying they’re going to hit two home runs in the 2018 World Series, but we think that they’re special talents that won’t take six or seven years. They could be here fairly quickly and they could have a big impact on the Braves.” Coppolella also stated that he hopes the two begin 2017 in the Gulf Coast League. The Pirates’ frustration with scuffling left-hander Francisco Liriano has begun to manifest itself, details John Perrotto of Today’s Knuckleball. Pitching coach Ray Searage became so irked at Liriano during a recent bullpen session that the former ended up leaving and storming back into the clubhouse, according to Perrotto. Part of Searage’s frustration stems from Liriano’s refusal to abide by the Pirates’ wish for him to pick one side of the rubber and stick with it consistently. The 32-year-old Liriano, a potential trade candidate who’s owed $13MM next season, has followed three straight stellar campaigns with an ugly 2016. So far, Liriano has logged a bloated ERA (5.33) and walk rate (5.88 per nine innings) in 82 2/3 frames, and ERA estimators like FIP (5.46), xFIP (4.75) and SIERA (4.93) are also noticeably down on his performance. 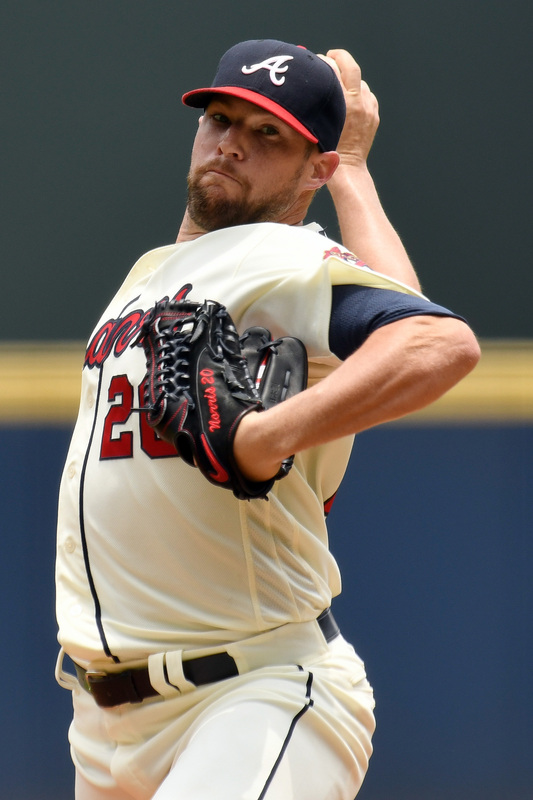 When the Dodgers took on Dian Toscano from the Braves as part of the Bud Norris deal, the club agreed to absorb only a portion of the $3MM left on his contract, per Jeff Passan of Yahoo Sports (via Twitter). The 27-year-old outfielder is struggling at Double-A and has not shown any signs of providing value to Atlanta. It’s not known how much of the balance will transfer to L.A. The Dodgers on Thursday officially acquired right-hander Bud Norris, minor league outfielder Dian Toscano, a player to be named later and cash considerations from the Braves in exchange for minor league right-hander Caleb Dirks and minor league lefty Phil Pfeifer. Norris should step right into an injury-plagued rotation that saw Clayton Kershaw hit the disabled list with a back injury earlier today. Norris last pitched on June 26, so he could start in place of Kershaw tomorrow. Norris, 31, began the season in the Atlanta rotation and pitched dreadfully throughout the month of April, logging an ERA just under 9.00 and losing his spot in the rotation. However, Norris made some alterations while working out of the bullpen and forced his way back into the Atlanta rotation, and he’s been a revelation since. As Fangraphs’ Jeff Sullivan recently examined, Norris ditched an ineffective changeup for a cutter that has been scintillating since its adoption, and the results have been stunning. In 29 1/3 innings since rejoining the rotation, Norris has pitched to a 2.15 ERA with a 29-to-8 K/BB ratio and an enormous 59.2 percent ground-ball rate. Overall, since losing his rotation spot in late April, Norris holds a 2.08 ERA in 47 1/3 innings. While finances are rarely of concern for the Dodgers, they’re particularly negligible in the case of Norris, who inked a one-year, $2.5MM contract with Atlanta this offseason. Of that sum, Norris is still owed about $1.3MM through the end of the season. Toscano, meanwhile, is owed $1.3MM in 2016, $1.5MM in 2017 and $1.5MM in 2018 plus a $200K buyout of a $1.7MM option for the 2019 season. The outfielder, signed out of Cuba a couple of years ago, had already been removed from the Braves’ 40-man roster, so presumably the Dodgers have agreed to take on some of that salary in order to entice the Braves to part with Norris and the PTBNL. The Dodgers essentially have an entire rotation on the disabled list, as Kershaw is joined there by Alex Wood, Brett Anderson, Brandon McCarthy and Hyun-jin Ryu. Norris will join healthy starters Scott Kazmir, Kenta Maeda, Julio Urias and Brock Stewart in the L.A. rotation, though that group figures to be thinned once again when Urias is shut down for a time following the All-Star break. Then again, the Dodgers’ hope is that Kershaw can return following the Midsummer Classic, so in a best-case scenario they’ll swap Kershaw out for Urias following the break. Dirks, 23, was a 15th-round pick by the Braves back in 2014 but was traded to the Dodgers last summer for international slot money. He currently ranks 30th among their prospects in the eyes of MLB.com’s Jim Callis and Jonathan Mayo and will now return to the organization that originally selected him out of the draft. Dirks has a 1.44 ERA and a stellar 35-to-7 K/BB ratio through 31 1/3 innings out of the ’pen for the Dodgers’ Double-A affiliate in Tulsa this season. Callis and Mayo write that Dirks has a fastball with good sink that sits in the low 90s and tops out around 94 mph as well as a slider in the low 80s that grades out as an average pitch. The MLB.com duo notes that the Dodgers “love” Dirks’ competitive streak and ability to handle high leverage situations, adding that he could be a setup man in the Majors if everything clicks. Pfeifer, also 23, was Los Angeles’ third-round pick just last season. He’s split the year between Class-A and Class-A Advanced, where he’s worked to a 2.67 ERA with 42 strikeouts against 18 walks in 30 1/3 innings out of the bullpen. The Braves signed Toscano, now 27, out of Cuba prior to the 2015 season. Visa issues significantly delayed his arrival to the Braves’ organization even after his signing, and he was outrighted off the 40-man roster last year. Toscano was once looked at as having the upside of a fourth outfielder, but he’s batted just .226/.310/.271 in 203 plate appearances for Atlanta’s Double-A affiliate this season. Ken Rosenthal of FOX Sports reported that Norris was going to Los Angeles (via Twitter). Joel Sherman of the New York Post reported that Dirks and Pfeifer were in the deal (via Twitter). The Braves announced today that they have outrighted Dian Toscano to Triple-A Gwinnett, removing him from the 40-man roster. The outfielder’s spot will go to catcher Tyler Flowers, whose two-year contract to return to the Braves is now official. Toscano, 26, was signed to a four-year, $6MM contract with the Braves one year ago yesterday, but visa issues kept him from officially joining the organization until November. It’s now been three years since Toscano played competitively in Cuba, making the fact that he cleared waivers unsurprising. He’ll remain with the organization, however, and hope to play his way back into the picture for the Braves in 2016 or 2017. Given the relatively minimal nature of his guarantee, he doesn’t need to do much at the big league level to justify the investment. Toscano is a career .300/.403/.427 hitter in Cuba’s Serie Nacional, though many scouts pegged him to be more of a fourth outfielder at the Major League level. He’s drawn praise for his speed but is said to have a suspect arm. Braves outfielder Dian Toscano has finally been cleared to join the organization, David O’Brien of the Atlanta Journal-Constitution reports on Twitter. The Cuban had yet to receive full clearance from the government since signing last winter. (It’s never been entirely clear what the reason was for the hold-up.) Atlanta committed $6MM to Toscano over four years in hopes that he could develop into a reserve/platoon-type outfielder. He might see some winter ball action as he looks to get up to speed, O’Brien notes. Mets outfielder Curtis Granderson required surgery on his left thumb for a torn ligament, as Rubin reports. That may come as a surprise to those who watched Granderson perform well in the NLCS and World Series. He reportedly suffered the injury during the third game of the championship round. The 34-year-old had a highly productive all-around season, serving as a somewhat underappreciated element in the team’s successful campaign. In less promising Mets injury news, right-handed pitching prospect Marcos Molina underwent Tommy John surgery after the season, Matt Eddy of Baseball America reports on Twitter. Both Baseball America and MLB.com rate Molina the club’s sixth-best overall prospect at present, though he’ll obviously have some work to do to regain his standing now that he’ll miss all of 2016. Marlins righty Henderson Alvarez is expected to begin a throwing program on the first of December, Jeff Passan of Yahoo Sports reports on Twitter. If he can maintain the timeline that the organization has charted, Alvarez could return to action within the first month of the season, according to Passan. Alvarez had shoulder surgery this summer and is projected by MLBTR to earn $4MM in his second-to-last season of arbitration eligibility. As they wait to see how Alvarez progresses, the Marlins will work to increase the organization’s financial flexibility, MLB.com’s Joe Frisaro reports. On the revenue side, Miami is hoping to find a corporate sponsor to put its name on the side of Marlins Park and also to get a new TV deal in place. The Marlins acknowledge that they haven’t done the best job of putting their payroll to use in building around their young core in recent years, as Barry Jackson of the Miami Herald writes. Pitching is the major need, according to president David Samson, who says he feels the organization has “three of the top ten players in baseball” — referring to Giancarlo Stanton, Jose Fernandez, and Dee Gordon. Per Jackson, Miami would go up to $15MM a year on the right starting pitcher, though the team is more likely to spend in the $12MM to $15MM range. (He calls Yovani Gallardo an “interesting option in the high end of that range.”) Of course, trades are also possible, and Marcell Ozuna appears to represent a big chip with the organization seemingly unconvinced that he’s a piece worth keeping. Miami is chasing two pitchers, says Jackson, one of whom could come from a deal involving Ozuna. Klentak is still settling into his new digs, but says he’s gotten a lot done already as he prepares for the upcoming GM Meetings, as MLB.com’s Todd Zolecki reports. Generally, he says, the club will be looking to continue building its talent base over the winter. “We really want to raise the floor and add some depth,” Klentak said. “Kind of at every turn, that’s what we’re going to be focused on. And in the pitching department, I think we really need to work on just — again, I say raise the floor — but kind of establish sort of a firm foundation of pitching. That’s not going to end when we break camp at the end of Spring Training. That’s something we’re going to be committed to for a long time.” He continued to reiterate that he views free agency as a way to “augment or supplement” a contending team more than a means to building a core. Marlins ace Jose Fernandez and manager Mike Redmond spoke with Anthony Castrovince for a Sports On Earth piece about the 23-year-old Fernandez’s recovery from Tommy John surgery. Fernandez says that he’s become close with NL East rival and fellow Tommy John victim Matt Harvey, who made his season debut for the Mets today (and dominated the Nationals). The two aces have discussed the rehab process, with Fernandez checking in to compare their rehab cycles. Fernandez has replaced a borderline ridiculous offseason cycling program — he used to cycle up to 600 miles per week, Castrovince notes — in favor of bulking up to add muscle and hopefully avoid further injuries to his arm. Redmond is pleased with the amount of time Fernandez is spending on the bench and with his teammates, always looking to learn, improve and ready his mind for the day he returns to the mound. Cuban outfielder Dian Toscano, who signed a four-year, $7.5MM deal with the Braves this winter, has arrived in the U.S. and is working with Major League Baseball to establish residency, reports MLB.com’s Mark Bowman. While there’s no timeline on how long that will take, Bowman notes that it’s one of the final hurdles Toscano needs to clear before beginning his Braves career. Bowman adds that Toscano could emerge as a backup outfield option in Atlanta as soon as this season. Ken Rosenthal of FOX Sports feels that the belief that the Braves’ farm system had become unproductive under the previous front office was misguided. Rosenthal looks at the number of players that had graduated to the Majors, pointing to them as evidence that the system continued to churn out quality talent. Aside from the team’s major trades of Evan Gattis, Jason Heyward, Justin Upton and Craig Kimbrel, Rosenthal finds other player personnel decisions questionable, highlighting the risk involved in acquiring Manny Banuelos and the decision to leave former top prospect J.R. Graham unprotected in this year’s Rule 5 Draft. Mets GM Sandy Alderson tells Andy Martino of the New York Daily News that he doesn’t instruct manager Terry Collins on how to construct his lineup, despite recent media speculation that the opposite is true. Alderson said that much like Collins offers input on roster moves but the front office has final say, he will offer input on lineup decisions, but Collins has final say. The Orioles will purchase catcher Ryan Lavarnway’s contract on Monday, Roch Kubatko of MASNsports.com tweets. The 25-man roster that the Orioles announced today included Caleb Joseph and Steve Clevenger at catcher, but not Lavarnway, who they had reassigned to the minors. The Padres have announced that they’ve purchased the contract of catcher Wil Nieves. With Tim Federowicz out with a knee injury, Nieves will back up Derek Norris. As we noted when Nieves signed, his big-league salary will be $850K. Ryan Madson has made the Royals’ Opening Day roster, tweets MLB.com’s Jeffrey Flanagan. Madson caps his comeback from multiple elbow injuries and his first appearance for Kansas City will be his first in the Majors since 2011. The Nationals have announced on Twitter that second baseman Dan Uggla and outfielder Reed Johnson have made their Opening Day roster. The Braves announced they have officially purchased the contracts of outfielders Eric Young, Jr. and Kelly Johnson, left-hander Eric Stults, and right-hander Cody Martin. The Braves cleared space on their 40-man roster by placing right-hander Arodys Vizcaino and outfielder Dian Toscano on the restricted list. One name missing from the Braves’ roster is Pedro Ciriaco, who was reported yesterday to have made the club. This is likely a procedural move, according to MLB.com’s Mark Bowman (Twitter links), because the Braves placed Josh Outman on the 25-man roster instead of releasing him after the left-hander complained of shoulder tenderness. The move will also buy the Braves some time to look for an upgrade over Ciriaco, tweets Bowman. The Phillies have announced outfielder Jeff Francoeur and infielder Andres Blanco have made the team. Francoeur is just one of four outfielders on Philadelphia’s Opening Day roster, so he could see time as Grady Sizemore’s platoon partner in right field. The Phillies are now at their 40-man limit. The Marlins have selected the contract of utility player Don Kelly, tweets MLB.com’s Joe Frisaro. Kelly earned his spot with solid Spring Training line of .270/.357/.324 in 42 plate appearances. Frisaro reports the 35-year-old will backup both the corner infield and outfield spots, as well as serving as the team’s emergency third catcher. DEC. 30: Toscano’s contract is for $6MM over four years and contains a fifth-year club option worth $1.5MM, reports MLB.com’s Jesse Sanchez (on Twitter). DEC. 10: The Braves have completed the financial specifics on Toscano’s deal and the pact is now pending a physical, according to MLB.com’s Mark Bowman (via Twitter). DEC. 8: The Braves are pursuing Cuban outfielder Dian Toscano, tweets Mark Bowman of MLB.com. It was reported earlier that an agreement had been reached, but Bowman asserts the two sides have yet to reach the finish line. The 25-year-old played five seasons in Cuba’s Serie Nacional, so he’s exempt from international bonus pool rules. Not much is known about Toscano since he did not play for the Cuban National team. He played left field for the Villa Clara club and hit .356/.400/.452 in 86 plate appearances during the 2012 campaign – his last with the team. Badler adds that Toscano possess the necessary speed for center field, but he typically plays left field due to suspect arm strength. A left-handed hitter, he features good bat control and strike zone awareness. Ben Badler of Baseball America was the first to report the Braves interest.